In 1867, Harriet Beecher Stowe and her husband Calvin, tiring of New England's cold climate, visited Florida for the first time. They were instantly smitten, bought a home complete with orange groves, and for the next 17 years were regular New England snowbirds. Florida Department of Agriculture, immigration department brochure, designed to appeal to New England snowbirds. 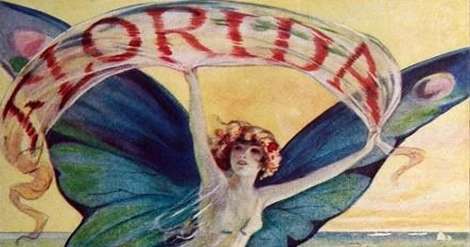 Not content to merely enjoy the beautiful, warm Florida winters, Stowe did what writers do -- she wrote about the beautiful state and soon attracted so many visitors she regretted it. Stowe, who spent most of her life in Connecticut, first learned of the beauties of Florida from her son Frederick. Wounded in the Civil War at Gettysburg, Frederick had turned into a drunk and, most likely, a heavy opioid user. 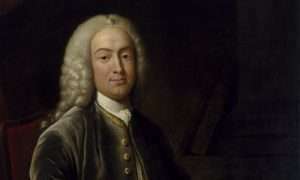 Alarmed by his health, Stowe, at age 56, took him up on his suggestion that she buy land in Florida. Frederick had learned from soldier friends that after the war, with the collapse of plantations, many properties were available for a song. Stowe consequently bought a large property on the St. John River in Mandarin, Fla., now part of Jacksonville. She then established Frederick as the manager of the groves. Frederick failed miserably at the business. He had no background in farming. 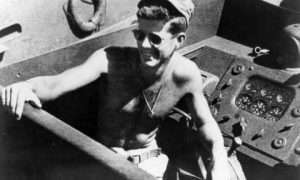 After trying to battle his addiction, he would soon head west and join the merchant marine. It's not clear when or how he died. Harriet and husband Calvin, meanwhile, were thoroughly smitten with the Florida sunshine. She began writing columns for her brother Henry's New York newspaper, The Christian Union. Today hte stories would pass as Florida real estate advertisements aimed at New England snowbirds. They told of, "Three Vermont brothers, exhausted by the long, hard winters there," who traveled to Florida and farmed their way to happiness. "The St. John's is the grand water-highway through some of the most beautiful portions of Florida; and tourists, safely seated at ease on the decks of steamers, can penetrate into the mysteries and wonders of unbroken tropical forests." She wrote glowingly of a land where flowers were to be had all winter long, the delights of sailing could be enjoyed in the dead of winter and trees were weighted down with oranges, peaches and other fruit. 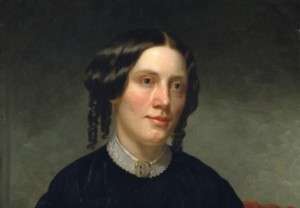 In one letter, according to the biography Harriet Beecher Stowe: A Life, she wrote: "Feeling quite young & frisky. I feel as if I had wings. Everything is so bright & the air is so soft." "The great charm, after all, of this life, is its outdoorness," she wrote. "To be able to spend your winter out of doors, even though some days be cold." She sang the praises of sitting with windows open, hearing birds daily, eating fruit from trees and picking flowers from hedges all winter long. "This you can do," she wrote, "and this is why Florida is life and health to the invalid." She threw in occasional warnings in her writings about the excessive heat of the "three formidable summer months, July, August, and September." That factor, she said, argued against a permanent relocation. Stowe herself retained her year-round residence at Hartford. Stowe described perfectly how legions of New England snowbirds would migrate between North and South. "Florida is peculiarly adapted to the needs of people who can afford two houses, and want a refuge from the drain that winter makes on the health," she wrote. "As people now have summer-houses at Nahant or Rye, so they might, at a small expense, have winter-houses in Florida, and come here and be at home. 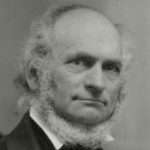 "There are thousands of acres of good land, near to a market, near to a great river on which three or four steamboats are daily plying, that can be had for five dollars per acre and even less than that." Property values, she trilled, were always increasing. Meanwhile, Stowe's publishers pressed her to write another novel. Her influential 1852 book Uncle Tom's Cabin had outsold all books but the Bible. The public wanted more. Instead of a new novel, Stowe cobbled together a collection of her writings on Florida, with some fresh material, and sent the whole pile along to her publisher to be issued in book form as Palmetto Leaves. Though students of Stowe consider it one of her lesser works, for Florida Palmetto Leaves marked a turning point. If Uncle Tom's Cabin started the Civil War, Palmetto Leaves touched off the great Florida land rush that continues today. Though Harriet Beecher Stowe was not the first Northerner to grab up Florida property, she was the most outspoken about it. The Tampa Bay Times concluded that Stowe "created the Florida tourist industry as we know it." In Florida, Stowe had a reputation for her eccentricities. She wore flowers in her hair and spent days on end walking and collecting them. She would lapse into long silences. But she stayed true to her activist roots, raising money for schools and churches in her adopted state and advocating for freed slaves. Her Florida activities have been characterized in many ways, depending upon who is evaluating them. 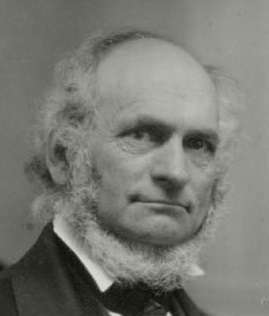 To southerners bitter over northern exploitation of the calamitous aftereffects of the Civil War she was just another carpetbagger. For historians who bristle at her patriarchal and sometimes insulting view of freed slaves, she was a meddling do-gooder. To progressives at the time she was an activist motivated by her desire to improve the country. 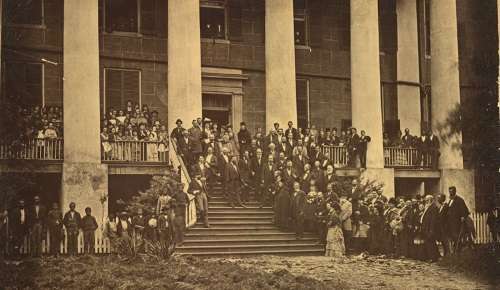 And to the governor of Florida, who welcomed Stowe and other northerners to the Statehouse with a band and celebration, she represented cash and development. Harriet Beecher Stowe welcomed at the Florida State Capital for encouraging New England snowbirds to come to Florida. In all, Beecher and her husband made the trip south for the winter 17 times. By the end, she and her home were a tourist attraction. Her readers and celebrity friends frequently visited. A steamboat carrying tourists would blow its horn when it arrived in front of the New England snowbirds' house. If she was in a good mood, she would wave. Occasionally she entertained tourists who dropped in, sometimes even charging for the privilege of a tour of her property. Other encounters were less friendly. In one instance when uninvited tourists picked orange blossoms, Calvin waved them off with his cane. 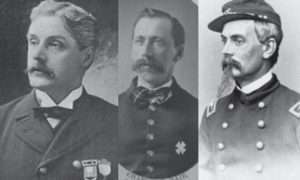 By 1885, declining health kept the Beechers from continuing as New England snowbirds to Florida. Calvin died in 1886. Harriet, under the care of her remaining children, died in 1896. 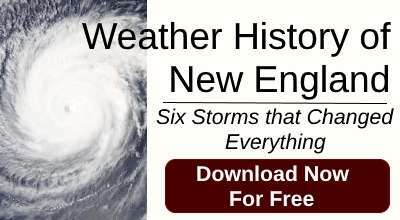 This story about New England snowbirds was updated in 2019. It was the Stowes, not the Beechers.